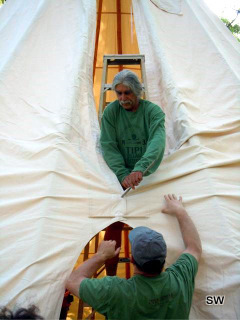 We had played with the idea of a really big tipi for a couple of years - and then it came to us: "Nomadics", our tipi maker from Sisters/OR had a cancellation on a 26 ft. tipi, which was now sitting in their manufacturing place without a home. They thought of us, and we said yes. Of course we'll find a place for it. Walking through the forest with the 26 ft. footprint in mind, we found the perfect circle amongst the really big Douglas Firs on the western edge of the forest, close to the "Cabin in the Woods", but far enough not to disturb each other. It was as if it had been waiting for a 26 ft. tipi all along. Not a single bush had to be removed, and the ferns were transplanted to the side. Thanks to our helping friends setting it up went smoothly, and when it was all done, it was spectacular. 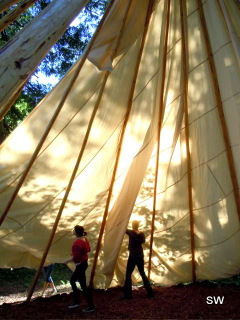 The spacious interior felt sacred - and we thought it might eventually make a wonderful ceremonial tipi. The rich colors and textures of the rugs and the extra wool blankets draped over the rope around the perimeter lend inviting warmth and comfort. We called it "Crazy Horse" for its monumental size - and it became our two-family-dwelling - with two queen beds, covered with comforters and then four additional floor mats - for a maximum occupancy of 8 people, maybe 10, if there are children. The lucky ones sleeping on floor mats need to bring sleeping bags. Price per night: $330 for 6 people, up to two extra guests can be added for an additional $65 per guest, breakfast included. Two-night minimum preferred, but one-night stays are available for an extra $25. Crazy Horse was born on the Republican River about 1845. He was killed at Fort Robinson, Nebraska, in 1877; he lived barely thirty-three years. He was an uncommonly handsome man. While not the equal of Gall in magnificence and imposing stature, he was physically perfect, an Apollo in symmetry. Furthermore he was a true type of Indian refinement and grace. He was modest and courteous as Chief Joseph; the difference is that he was a born warrior, while Joseph was not. However, he was a gentle warrior, a true brave, who stood for the highest ideal of the Sioux. 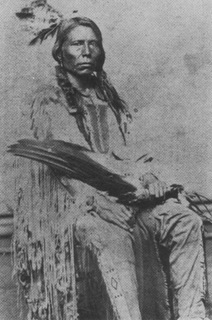 Notwithstanding all that biased historians have said of him, it is only fair to judge a man by the estimate of his own people rather than that of his enemies.The boyhood of Crazy Horse was passed in the days when the western Sioux saw a white man but seldom, and then it was usually a trader or a soldier. He was carefully brought up according to the tribal customs. 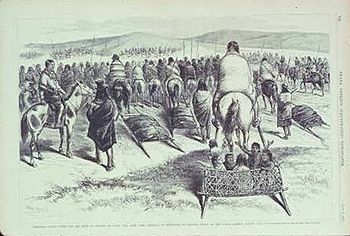 At that period the Sioux prided themselves on the training and development of their sons and daughters, and not a step in that development was overlooked as an excuse to bring the child before the public by giving a feast in its honor. Read more on "The Legend of Crazy Horse"
And, above all, may silence make you strong."